This article from Bloomberg by Flavia Krause-Jackson summed up what travelling in Burma was like. On landing in Myanmar, prepare to travel back in time, cut off from the rest of the world. Your smart phones won't work here, and your plastic is no good. I kind of like not having a cell phone or a credit card even though I admit that it's frustrating and inconvenient sometimes. I can attest to the following experience of the reporter. My pockets lined with cash, I tried to rent a local mobile phone at the airport, only to have the saleswoman reject my $100 bills one-by-one because they were not "new" and showed folds, creases, crinkles or other negligible imperfections. My experience was with the US Embassy in Burma when I paid for my visa fees. The embassy wouldn't accept my twenty dollar bills because they showed folds and creases. It was beyond me --- the US Embassy not accepting perfectly fine US dollar bills. This, my friend, is Burma! On my final day, I lost my mobile phone and my Burmese interpreter offered to call my number to locate it. Accustomed to New York, I told him not to bother, though he went ahead anyway. I was wrong. A taxi driver drove an hour out of his way to return the phone. 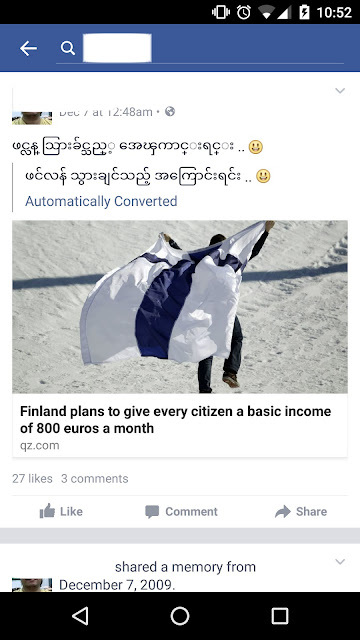 Perhaps this was a sign that the character of the Burmese people will prove my Western cynicism wrong in a land rich not only in natural resources, but now also in hope.